Andheri - an abode to many swanky & tempting restaurants has another casual dining under its umbrella. 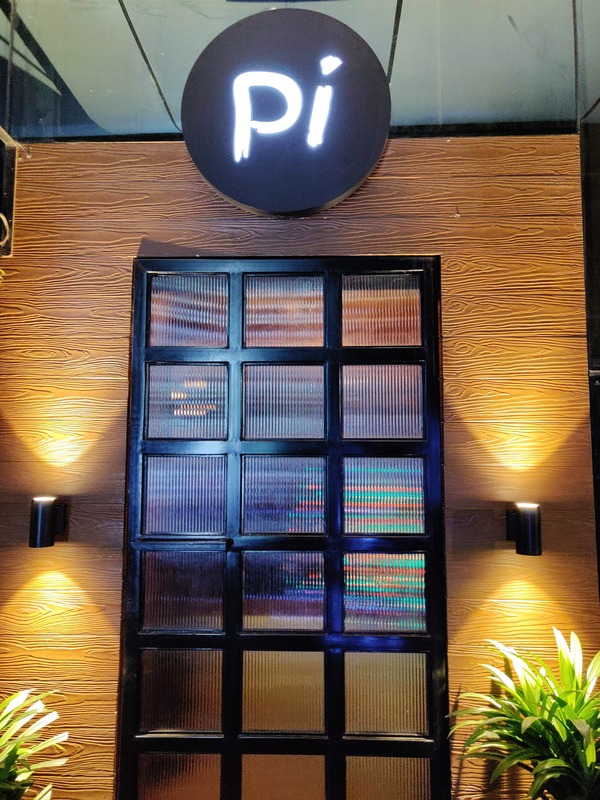 Pi Bar and Kitchen (Andheri) is an upgraded version of Pi Pizzeria (Khar); call it the sequel or extension, they had it all. It’s bigger, better, vibrant and revolves around their speciality i.e. Italian food. It is located opposite to Citi Mall - Andheri (West) and promises great menu that just doesn’t stop at pizzas but also has salads, appetizers, pasta & risottos with a delectable main course. One of the few restaurants that have a huge open kitchen to watch the chefs juggling with your food & in-house bar for all you drink needs. With wooden seating arrangements, music-friendly background, relaxed & poised attitude; Pi Bar & Kitchen has attracted enough eyeballs and diners have travelled for hours to have a good meal here. The place is sombre lit and walls are decorated with empty wine/beer bottles with Pi mentioned in bold. Interiors are very well designed giving you a feel of an Italian restaurant. You will be mesmerized by the food, taste & splendour. It is advisable to skim through their elegant menu to not miss on anything and with a bigger menu comes more dishes with more gluttony. From sides to the main course, we ate the best. Mango Mule – a de-hydrating non-alcoholic refreshing drink made up of mango which is soothing & good for summers. While mangoes rule the summers in India, this mocktail will surely beat the heat. Pacific Blue – another restoring drink infused with litchi crush, fresh lime juice, blue curacao and topped with club soda. Fresh lime juice and soda is a perfect blend to top your energy level. Mango Mustard Prawns – Despite being informed about its piquant taste, we still wanted to try the alliance of grain mustard, mango puree, green chilli & thyme cooked with grilled prawns & served with mustard mayonnaise. To be honest, I loved the taste and finished it all. Harrisa Cottage Cheese – pan tossed cottage cheese marinated in Moroccan spices served with veggies & tomato salsa had pieces of cheese beautifully decorated in a bowl. It’s a vegetarian fantasy and most ordered dish. You cannot leave your table until you taste Devil's Cake and Molten Lava Cheese Cake for being rich in flavour. If you want your food to be presentable on the table or you want to take someone on a date then Pi Bar & Kitchen is one stop for every craving soul. The only quibble was the music which didn't meet the wavelength of the ambience and can be better.